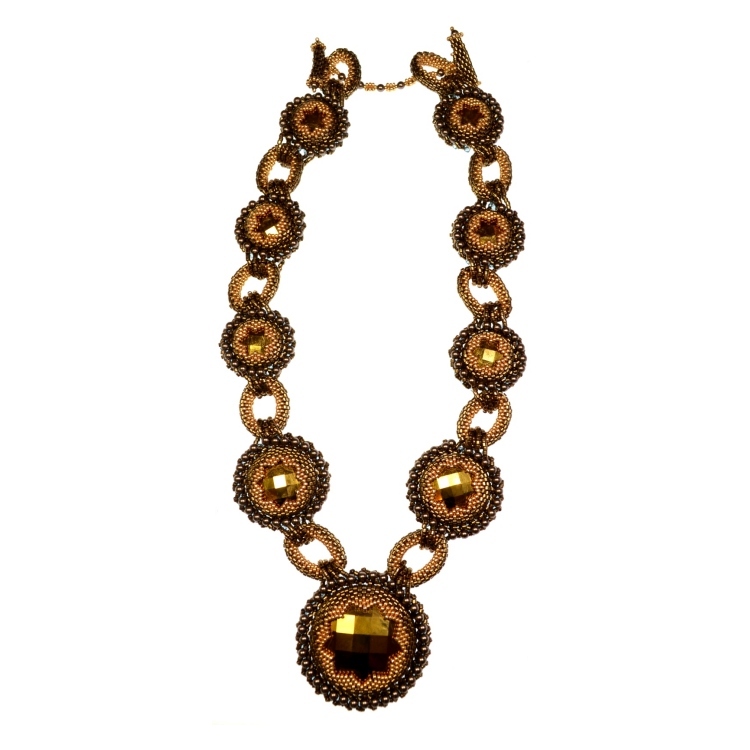 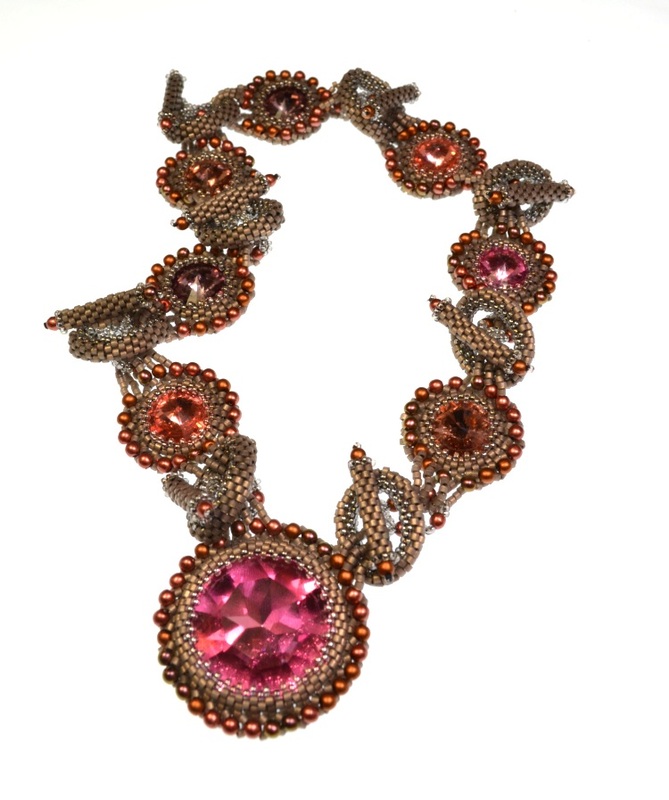 A class which covers all of the design and beading variations possible in my Caroline necklace series of work. 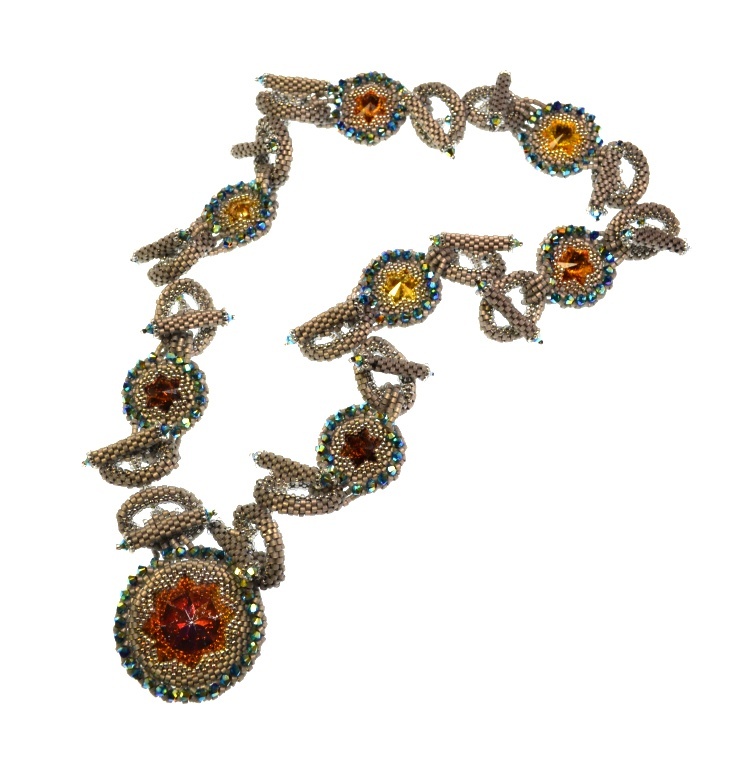 This is an intermediate class using Peyote Stitch which contains a lot of bezelling and embellishing allowing you to make your own components and create your own unique piece of beadwork. 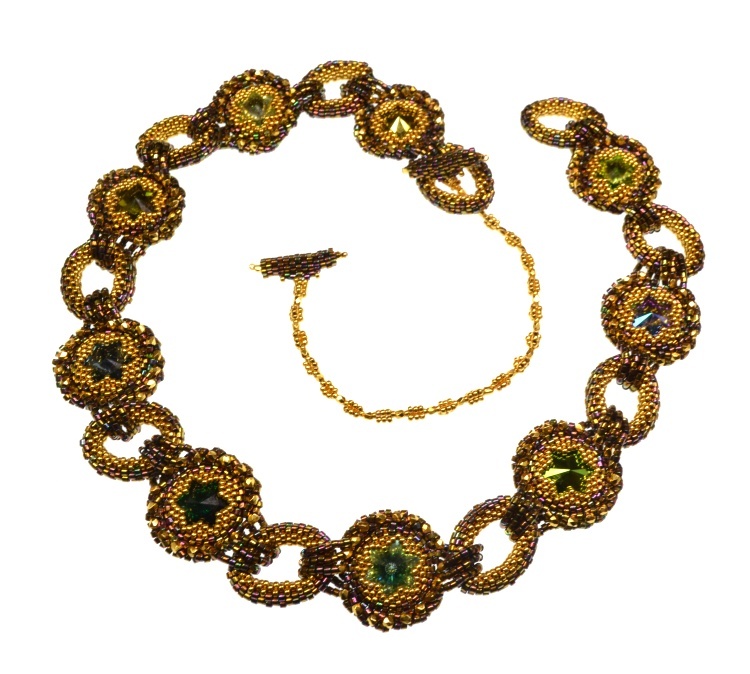 The components can be used to make necklaces, bracelets, pendants and earrings and using the right crystals means they can even be reversible.